Infosys recently launched its 10th Sustainability Report highlighting the various responsible business practices undertaken by the company across economic, social and environmental parameters, in accordance with the Global Reporting initiative G4 (comprehensive) guidelines. In line with its sustainability policy, Infosys has focused its efforts on enhancing environmental performance by improving energy efficiency, becoming water sustainable, minimizing waste-to-landfills, increasing the use of renewable energy, reducing carbon footprint and contribution to biodiversity. 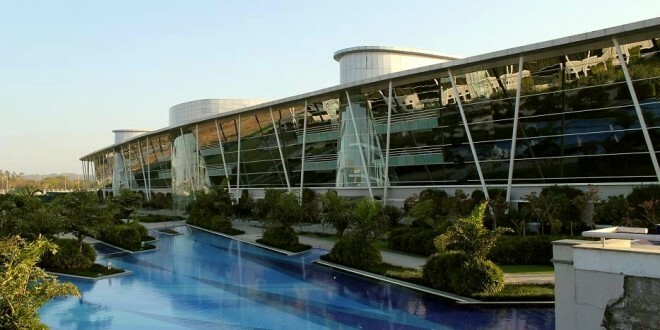 · Energy: Infosys has implemented smart parking management in its Chandigarh campus to reduce the numbers of cars congesting the streets and the emission caused. · Renewable Energy: In order to reduce carbon footprint, Infosys has invested in various energy efficiency measures including lighting, UPS, building management systems, smart retrofit programs across various campuses, including Chandigarh. The company also installed 15.2 MW solar capacity (rooftop + ground-mount) across India since 2009. Chandigarh contributes 202 (kW) of installed capacity. · Food waste Management: To address waste management in an integrated manner, the company has 3.1 TPD installed capacity of composting plants in different campuses including Chandigarh. Moving into the new fiscal, the company will continue to innovate and nurture new ideas that has the potential to tackle the environmental challenges of today and the future.